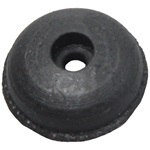 Grommets, sidemount support arm on fender. 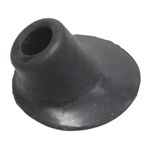 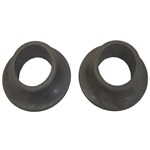 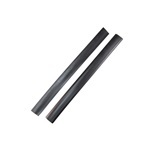 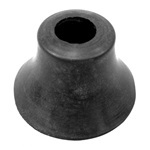 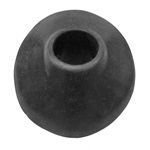 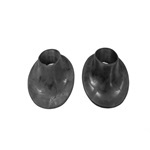 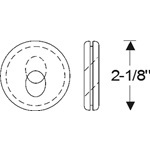 Two and one half (2-1/2) inch inside diameter by four and seven eighths (4-7/8) inch outside diameter. 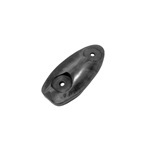 Anti-rattle, spare wheel cover in fenderwell.Width: .25 inches. 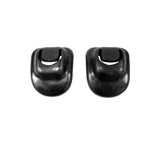 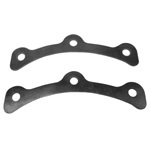 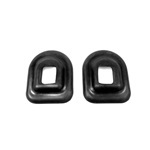 Grommet, spare wheel mounting brace, side mounted spares. 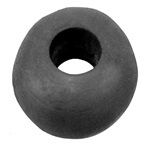 Grommets, sidemount. 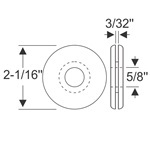 Please see sketches and specify #40-0533-37 or #40-0534-37 when ordering.